As a wee piece of Aberdonian history, nothing gets us more excited than the biggest Scottish celebration of all – HOGMANAY! Join us this New Year’s Eve for a rip roaring affair complete with hearty fayre, the odd tipple and our very own live ceilidh band! Why not come along and enjoy some seasonal delights from our specialised Hogmanay menu and line the stomach for what is set to be the biggest bash in the city. Our New Year’s Eve menu is just £32.99 for three courses and includes dishes such as Scottish Smoked Salmon, Festive Turkey and Rump Steak. Interested in coming along purely for the party? 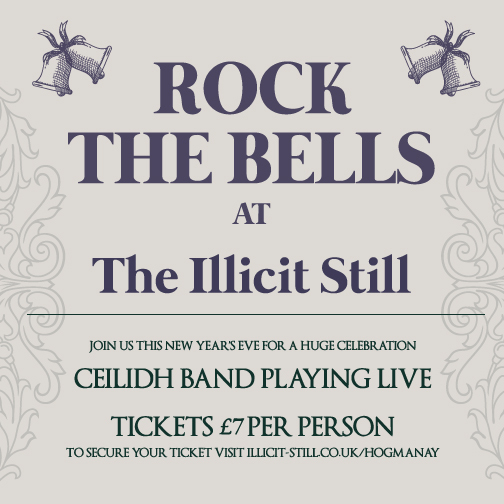 Look no further, we have ticket only options available so you can enjoy all the fun and festivities of our ceilidh! The Still will be open until the wee hours of New Year’s Day to give you plenty of time to warmly welcome in 2017. Our fabulous live ceilidh band will be providing all the Scottish classics, so be prepared to strip the willow and dance the night away! Don’t forget your dancing shoes! Tickets are limited so be sure to purchase yours in advance to avoid any disappointment.